How many times has a customer contacted you, believing they know what size UPS (uninterruptible power supply) they need to support their specific load, only to leave you the difficult task of explaining that watts do not necessarily equal volt-amperes (VA)? More often than not this likely launches into a larger conversation discussing what exactly is the difference anyway? You are left to explain that electronics have both maximum watt ratings and maximum VA ratings, and neither the watt nor the VA rating of a UPS may be exceeded by the attached equipment (load). Watts is the real power drawn by the equipment, while volt-amps are called the “apparent power” and are the product of the voltage applied to the equipment times the current drawn by the equipment. The watt rating determines the actual power purchased from the utility company and the heat loading generated by the equipment; and the VA rating is used for sizing wiring and circuit breakers. As power and cooling professionals, we know that for electronics such as computers and UPSs, watt and VA ratings can differ significantly; with the VA rating always being equal to or larger than the watt rating. The ratio of the watts to VA is called the “Power Factor” and is expressed either as a number (i.e. – 0.8) or a percentage (i.e. 80%). This power factor is what really matters when sizing a UPS for a specific customer’s requirement. 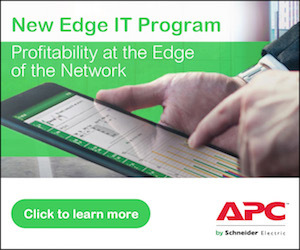 APC™ by Schneider Electric’s™ latest generation of Smart-UPS™ On-Line now brings us a competitive advantage – higher power factors. Models 6kVA (6000 VA) and higher have a unity power factor – which means VA translates to an equal amount of watts (i.e. 6000 VA = 6000 Watts). Smaller models of the next generation of Smart-UPS On-Line have a 0.9 power factor or higher, and all are Energy Star™ qualified regardless of VA. The difference between 0.8 or 0.9 power factors and a unity power factor (1.0) may not sound like much – but when you take into account the fact that the extra available wattage can be used to support additional loads and extend runtimes; it is easy to see how the next generation of Smart-UPS On-Line will increase your customer’s availability while saving them money. The next generation of Smart-UPS On-Line offers many improved features and benefits for your customers. Review the sales tool kit on your partner page for detailed specifications, brochures, videos, and selling sheets. Please refer to our UPS Selector for help properly sizing a UPS. Alternatively, if your customer is looking to upgrade their current UPS, refer to our UPS Upgrade Selector. For further discussion regarding the differences between watts and VA please refer to White Paper 15, Watts and Volt Amps: Powerful Confusion.